The stories featured here will take place in the same 'universe' which I am slowly fleshing out. 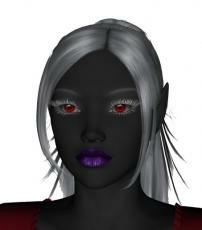 The Chronicles of Aurei is a Trilogy dealing with the adventures of Aurei Bugley, a Drow girl who was raised by humans in the sleepy duchy of Westmark. The Marksylvania series takes place 80 years later. A civil war in Northmarch threatens all demi-humans in the Kingdom, as the Emperor of the Southern Empire schemes to gain control of the Kingdom. Will a orphaned Faesidhe prince seeking revenge against the Drow that murdered his father be the key for change? The Aaron and Lysa series begins with Talminor then continues with Learning to Waltz. A third installment Helios Menagerie will be coming soon. Leaf and St. Keaven and the Witch are independant stories connected with this universe. In chronological sequence, the released stories are: 1. Leaf 2. Aurei of Westmark 3. The Kinghts of Northmarch 4. Bane of the Necromancers 5. Storms of Contention 6. The Forging of the King 7. A Sovereign Hope 8. Talminor 9. Learning to Waltz 10. Helios' Menagerie 11. St. Keaven and the Witch.